Organised by the Australian Swimming Coaches and Teachers Association (ASCTA) and Harry Wright International, this event is proudly supported by the Hong Kong Swimming Teachers Association and features keynote Presenter, Mr. Doug Frost plus other international Presenters. Where: South China Athletics Association (practical pool sessions) and Cosmopolitan Hotel (Bronze theory lectures). The swimming pool, lecture room and recommended accommodation are all located in close proximity. Options: Conference delegates may choose to attend one, two or three days of the conference. Pool-based as well as lecture-based presentations are on offer. Attendees may mix and match whatever sessions they choose. Morning and afternoon refreshments and lunch are provided for all attendees on all days. Attendees wishing to gain accreditation in any of the four accreditation courses on offer will receive an enrolment plus the course resources and must attend a defined range of presentations. Please book early for the courses as a CD Rom or online theory can be delivered to you for pre-course theory work. (Note that these may also be completed post course if necessary). Preferred Accommodation: Special discount accommodation package rates (including a daily buffet Breakfast) apply for ASCTA Conference attendees at the suggested accommodation (also the location of theory sessions) - the Cosmopolitan Hotel. 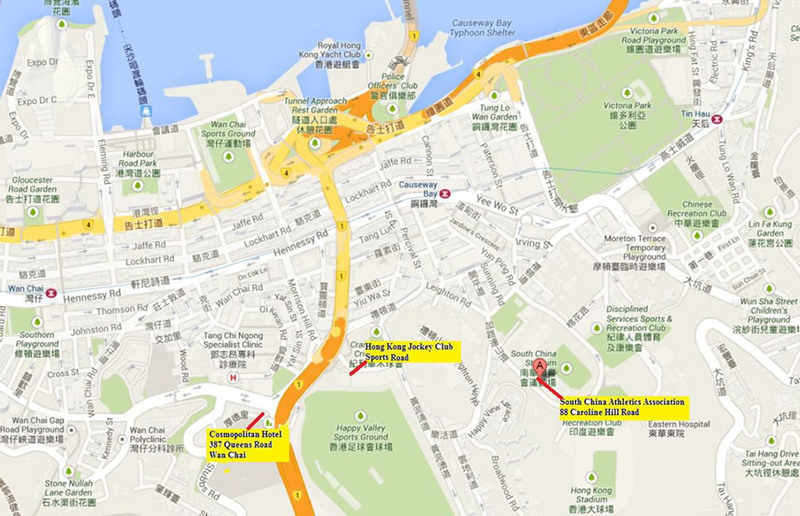 This hotel is conveniently located close to the vibrant heart of Hong Kong Island and to public transport. Travel is easy from the International Airport plus a wide selection of eateries and restaurants are close by. Bookings must be made by the 31st December directly to the hotel via https://gc.synxis.com/rez.aspx?Hotel=60577&Chain=12745&promo=ASCTA to guarantee the special conference room rate. Of course you may also choose to stay elsewhere if you desire. Keynote Presenter: Doug Frost is best known internationally as the coach of Ian Thorpe. It is our privilege to have Doug present the Bronze coaching course which focuses on interclub competitive coaching through to elite level swimmers. Doug was a coach on the Australian teams for the 1995, 1997 and 1999 Pan Pacific Swimming Championships, 1998 World Aquatic Championships, 1998 Commonwealth Games and the 2000 Sydney Olympic Games. He is an ASCTA Life Member. All topics today are practically orientated and pool based with swimmers in the water and live demonstrations. Attendees should also participate in the water. Topics on this schedule are targeted at basic level learn to swim and teaching water safety and survival skills. Swim Australia™ Teacher accreditation Students - Attend all sessions above marked with a “^”, pay the course fee (includes ASCTA membership), complete a self-paced CD ROM and a competency signoff to gain the accreditation valid for 4 years. Schedule of presentations: The attached schedule is subject to change without notice. To Register: Go online to https://ors.eventair.com/asctainternational2016/regos or complete and return the attached hard copy registration form. Swim Australia™ Teacher of Baby and Toddlers accreditation Students - Attend all sessions above marked with a “#”, pay the course fee (includes ASCTA membership), complete a self-paced CD ROM and a competency signoff to the accreditation valid for 4 years. Attend should also participate in the water. All topics today are focus on developing swimmers in training squads to their fullest potential. The mix of theory sessions deliver knowledge in a holistic approach, delving into energy systems; writing effective daily, weekly and seasonal training programs; mental approaches; effective communication; elite stroke mechanics and coach planning. The keynote presenter, Doug Frost is a Platinum Level Coach. All theory sessions are at the Cosomopolitan Hotel followed by practical sessions at the South China Athletics Association swimming pool. The attendees will walk together between the two venues. Bronze accreditation Students- Attend all the sessions above marked with a “*”, pay the course fee to receive the online portal access, ASCTA Membership and upon the satisfactory completion of the workbook gain an International Bronze accreditation.